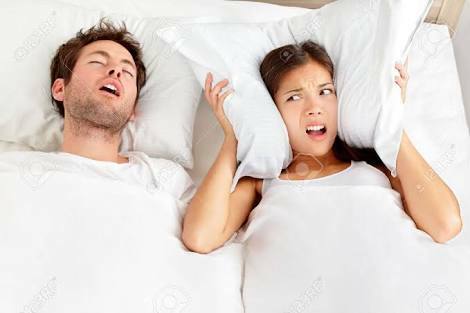 Are you a victim of snoring? You don’t allow your partner sleep well beside you with your loud snoring. Read this article. ITALY – The government in Italy has ruled that children must be vaccinated against 12 common illnesses before they can enrol for state-run schools. Prime Minister Paolo Gentiloni blamed a decrease in vaccinations in part on a “spread of anti-scientific theories”. Italy has recorded nearly three times as many measles cases so far this year than for all of 2016. If children are not vaccinated by the age of six, the school starting age, their parents will be fined. Conspiracy theories about the health risks of certain vaccinations – largely based on one discredited paper – have circulated around the world, leading some parents to shun immunisation. In Italy, the number of two-year-olds vaccinated against measles has dropped from more than 90% to below 80%. This is well short of the World Health Organization’s recommended coverage of 95% or more. Measles is highly contagious and can lead to death. “The lack of appropriate measures over the years and the spread of anti-scientific theories, especially in recent months, has brought about a reduction in protection,” Mr Gentiloni told a press conference on Friday. “We are sending a very strong message to the public,” said Health Minister Beatrice Lorenzin. 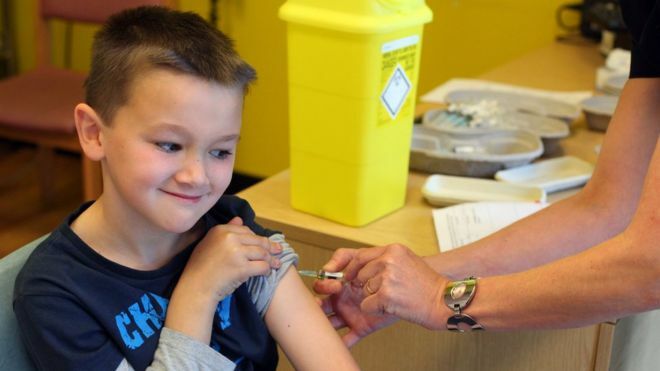 In recent years a loose group of campaigners against vaccinations, dubbed the ‘anti-vax’ movement, has dissuaded people from opting in to immunisations by citing supposed risks. A long-discredited paper by Andrew Wakefield was behind much of the scare but the rumours around immunisation have continued to spread, leading to public health risks as not enough people are immune to such diseases. Dr Sani Aliyu, the Director-General, National Agency for the Control of AIDS (NACA), says the world has made significant progress on HIV vaccine research and it is inching closer to licensable HIV vaccines. The director-general made this known at news conference as part of activities to commemorate the 2017 World HIV Vaccine Advocacy Day on Thursday in Abuja. Aliyu said the world has made significant progress in HIV vaccine research over the last 30 years when HIV was discovered. According to him, in 2009 the vaccine field achieved proof-of-concept that a preventive HIV vaccine is possible. The director-general said NACA is working with the National Institute of Medical Research (NIMR) to fast-track HIV vaccine research in Nigeria. Aliyu said that Nigeria has invested heavily in the planning and preparing for HIV vaccine research to be conducted in the country, with several competent researchers in the field in Nigeria. He said Nigeria also had a National HIV vaccine plan to provide a framework and facilitate the process of research. He added that NACA’s dream was to ensure that Nigerians have access to an effective HIV vaccine soon. “While we wait for this research breakthrough, we shall continue to facilitate access of Nigerians to existing HIV prevention tools. “Elimination of Mother to child Transmission of HIV is a priority for the country and a goal that must be achieved,’’ Aliyu said. He said the agency is working to ensure all barriers to access to treatment are removed. Mr Godwin Odemijie, representative of New HIV Vaccine and Microbicide Society, an NGO, said May 18, 2017, is the 20th Anniversary of HIV vaccine advocacy day. Odemijie said the day is to remind policy makers, partners and key stakeholders the need to develop vaccine to stop the spread of HIV/AIDS. 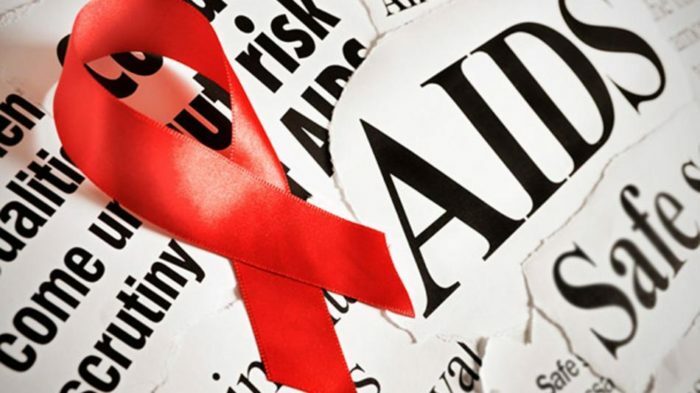 “We will continue to talk about the prevalence of AIDS not total elimination if we don’t have a vaccine in place, it is a potent vaccine that can really check the incidence of HIV,’’ he said. Sugar in its natural state like what is found in fruit is healthy in moderation as a part of a balanced diet, but what we don’t need in our diet is the amount of refined sugars that we ingest in processed foods. Even when you feel like you don’t eat a lot of sugar because you avoid candy bars or something, you might not realize how much hidden sugar makes appearances in savory foods as well. Even hamburgers at fast food restaurants can be shocking sources of high sugar content. The reasons behind wanting to break a sugar habit can range from losing weight or increasing your energy to just plain increasing your overall health. Eating less sugar can do all of these things, but it doesn’t mean that the process will be an easy one. Sugar is actually addictive to the body so you might experience cravings until you get them in check and replace your sugary snacks with new healthy snacks. When you decide to start kicking a sugar habit, it is important to eat regularly throughout the day. When you don’t eat for too long your blood sugar drops and your energy can take a dip. This is when you are most susceptible to falling for a sugar craving because it can be a fast fix on the energy front. Stick with small and frequent snacks that are full of protein and have some carbohydrates to keep you satiated throughout the day. Always choose foods that are not processed over ones that are, since the closer a food is to its natural state then the less added sugar it will contain. Think whole and natural food sources whenever possible. Avoid keeping foods in the house that you are trying to avoid. If other family members eat different types of food than you, maybe it’s time to discuss revamping everyone’s habits or somehow store food separately or labeled so that you will be less likely to eat someone else’s snacks. Start your day by eating a meal that contains some protein and fat which will keep you full longer than just eating some fruit for example. 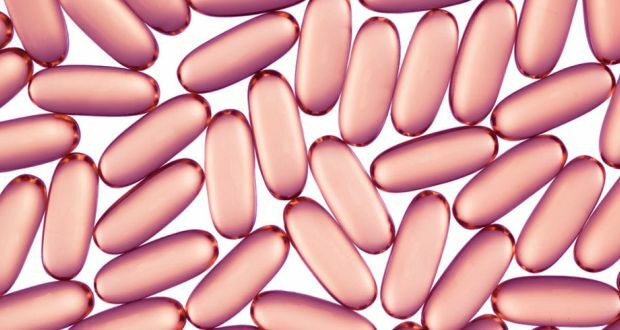 Getting a mix of nutrients will also help to keep you feeling full. You should try to get some healthy fat into each meal as well to keep your blood sugar steady. Healthy fats are monounsaturated options like avocado and olive oil. When you cook use spices like cinnamon that you trick your body into thinking its having something sweet. Spices also have individual health benefits. Getting regular sleep and exercise can help calm sugar cravings since both will naturally increase your energy. 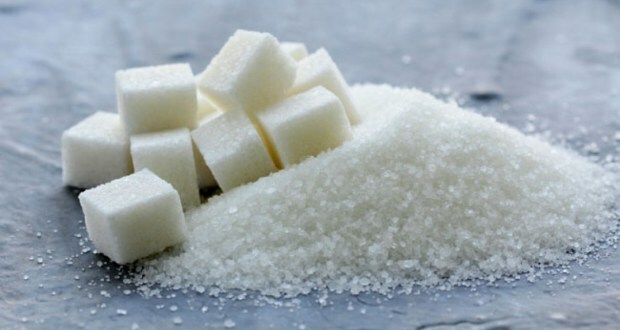 When you are rested and energized you won’t be craving sugar simply for the temporary energy boost that it can give. If you tend to eat sugar during a certain time of day or when you encounter a certain emotion you should pay attention to this and replace the habit with something else. Do some crunches while you watch TV instead of grabbing some frozen yogurt, or drink an entire glass of water to keep you mouth and stomach busy. 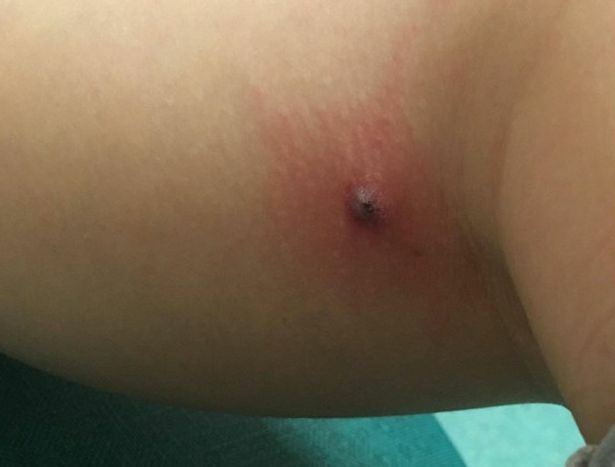 An eight-year-old girl was horrified after a spider embedded itself in her leg and suddenly burst out, her family said. Scarlett Hinchcliffe suddenly became very ill with flu-like symptoms on May 11 after being bitten while walking in the woods. 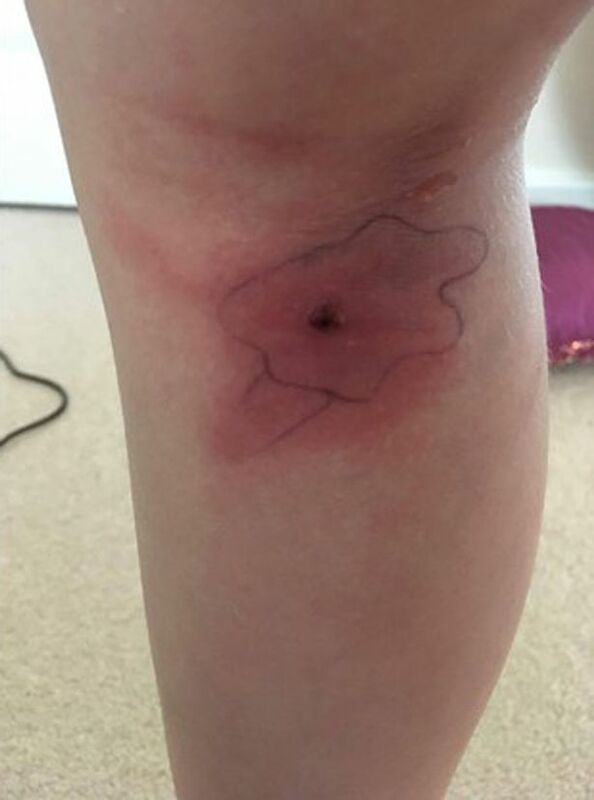 Orange and yellow poison oozed out of a small hole in Scarlett’s leg after the skin covering it burst – before a spider appeared to creep out of the hole and crawled off, Lincolnshire Live reports. The eight-legged creature was immediately thrown in the bin. Her mother Jodi, from Sleaford, Lincolnshire, thinks the creature may have embedded in her daughter’s leg while she was playing on a tyre swing in a woodland area on the Greylees estate while they were walking the dog. Her family could initially not pin-point what was wrong with Scarlett, who had a temperature of between 38 and 39C. And they had to endure hours of travelling, delays and waiting at NHS services while they tried to work out what was wrong. 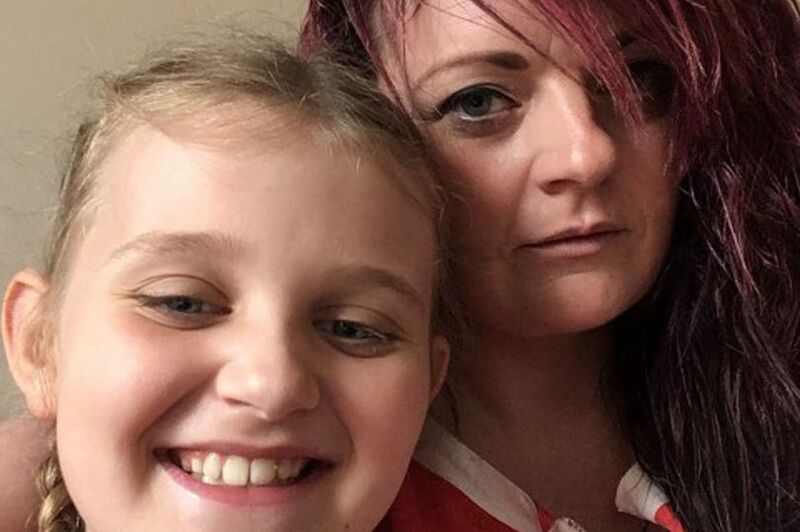 Jodi took Scarlett to Pilgrim Hospital A&E and after a five-hour wait was diagnosed with an insect or spider bite, given antibiotics and sent home. The next day, Friday, Scarlett, who was still very unwell, stayed with her nan while her mum went to work – and shortly afterwards they were left with a nasty shock. Her nan looked in the bath and was horrified to see a small brown spider. Jodi said: “I first noticed the lump behind the knee on Scarlett’s right leg when I put her in the bath on Thursday night. She became so poorly so fast and her breathing was unstable. “I tried to take her to the walk-in at Sleaford Medical Centre but they said they could not see her. I called 111 who told me to take Scarlett to hospital and said she needed to be seen within an hour. “Grantham Hospital A&E, which is a 10-minute drive, was closed so I had to drive to Boston. Doctors said if there was no improvement by Sunday then to bring her back. She added: “I am pleased Scarlett was with my mum as I think I would have passed out when I saw it. She told me she felt something crawl out of her leg and thinks it is quite cool despite being so poorly. “She was so ill. If I had no taken her to the hospital that night and left her I am not sure if she would have still been here on Friday. Now her mother wants to urge other parents and anyone who becomes ill suddenly with flu-like symptoms to check themselves over. “I am still in shock, you just don’t expect to see this sort thing happen,” she said. Scarlett is still unwell and is on antibiotics to clear the infection left behind. She is also being monitored by her mum and is expected to make a full recovery.